The sun is shining, the birds are chirping, and the kids are wiggling! Everyone wants to get outside, but there are still things that have to get accomplished like it or not. Make it a little easier on the kids this Spring by giving them opportunities to move! Try some spring themed yoga for movement and calming. See how much fun engaging in moving can be this Spring. Do many poses or a few poses at once and get everyone’s mind clear and ready to concentrate again! 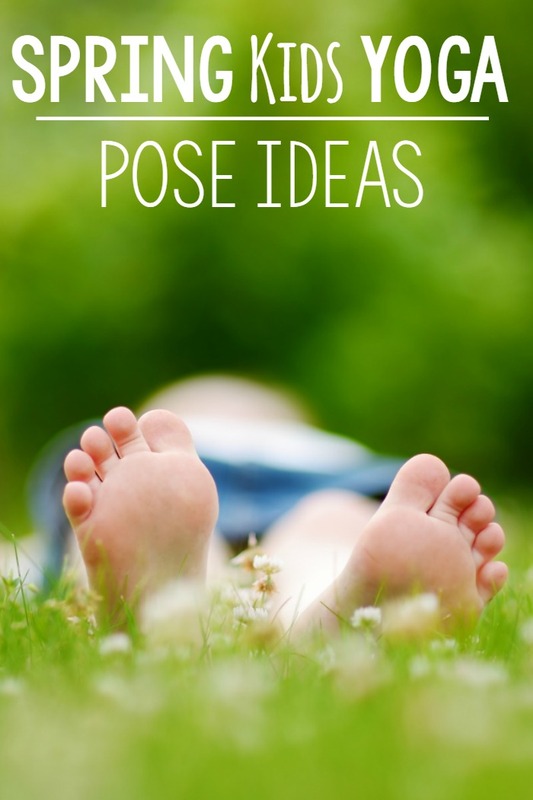 The following yoga poses ideas are perfect for incorporating movement all spring! They are great for a classroom, therapy sessions, daycare settings, home and beyond. 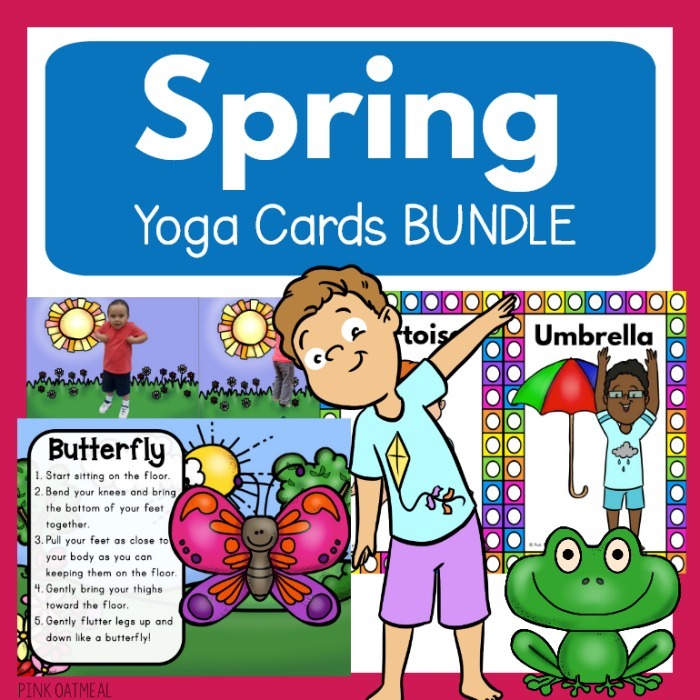 Get the Spring Themed Yoga Bundle and feel confident that you have fun spring themed movement activities that your kids will love. Save yourself the time and effort by having it all done for you! Squat on the floor with your weight on your toes. Spread your knees as far apart as you can. Make sure your hands are in between your knees on the floor. Look up and breathe in. Breathe out, look down and try to straighten your legs as much as you can. Start on your knees. Rest your bottom back on your heels. Turn your body to the left then to the right. Repeat, twisting your body side to side. Add a buzzzing sound! Stand tall with your feet hip width apart and back straight. Place your hands under your arm pits on both sides. Move your elbows back and forth like your flapping your wings. Encourage squeezing shoulder blades together as you flap your wings. Start standing with your feet slightly wider than shoulder width apart. Lower down into a squat position and hold. Return to standing position. Repeat. Start seated criss-cross on the floor. Place your hands in front of your chest with the palms pressed together. Breathe in and raise your hands over your head and wiggle your fingers like rain. Breathe out and clap your hands together like thunder. Repeat with each breath. Tree Pose – Flap your arms like a bird if you’d like! Start in mountain pose. Raise your arms up above your head. Separate your hands like an umbrella opening up. Do you love the idea of Spring yoga? Imagine how great it would feel it all created and ready to go for you. An activity that you can feel confident will be fun for your kids and for you! Save yourself the time and effort buy getting the Spring Yoga Cards Bundle now! My store at Pink Oatmeal is full of ideas to get the kids moving at home, in the classroom, and in therapy!